2010 Ford Flex How our users rated the 2010 Ford Flex. Based on 2,322 user rankings. Driven or own this vehicle? Rank this vehicle to share your opinion. 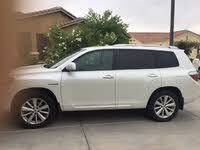 2010 Toyota Highlander Hybrid How our users rated the 2010 Toyota Highlander Hybrid. Based on 1,260 user rankings. Driven or own this vehicle? Rank this vehicle to share your opinion. 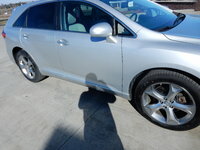 2010 Toyota Venza How our users rated the 2010 Toyota Venza. Based on 1,823 user rankings. Driven or own this vehicle? Rank this vehicle to share your opinion. 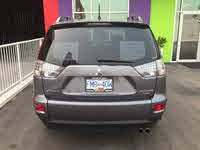 2010 Dodge Journey How our users rated the 2010 Dodge Journey. Based on 1,825 user rankings. Driven or own this vehicle? Rank this vehicle to share your opinion. 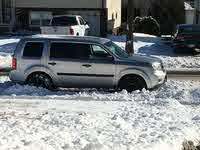 2010 Honda Pilot How our users rated the 2010 Honda Pilot. Based on 1,620 user rankings. Driven or own this vehicle? Rank this vehicle to share your opinion. 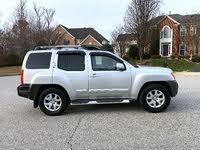 2010 Nissan Xterra How our users rated the 2010 Nissan Xterra. Based on 2,031 user rankings. Driven or own this vehicle? Rank this vehicle to share your opinion. 2010 Toyota FJ Cruiser How our users rated the 2010 Toyota FJ Cruiser. Based on 1,880 user rankings. Driven or own this vehicle? Rank this vehicle to share your opinion. 2010 Mitsubishi Outlander How our users rated the 2010 Mitsubishi Outlander. Based on 942 user rankings. Driven or own this vehicle? Rank this vehicle to share your opinion. 2010 Jeep Wrangler Unlimited How our users rated the 2010 Jeep Wrangler Unlimited. Based on 2,051 user rankings. Driven or own this vehicle? Rank this vehicle to share your opinion. 2010 Toyota Highlander How our users rated the 2010 Toyota Highlander. Based on 1,198 user rankings. Driven or own this vehicle? Rank this vehicle to share your opinion. 2010 Ford Edge How our users rated the 2010 Ford Edge. Based on 1,616 user rankings. Driven or own this vehicle? Rank this vehicle to share your opinion. 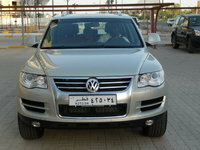 2010 Volkswagen Touareg How our users rated the 2010 Volkswagen Touareg. Based on 1,347 user rankings. Driven or own this vehicle? Rank this vehicle to share your opinion. 2010 GMC Terrain How our users rated the 2010 GMC Terrain. Based on 1,655 user rankings. Driven or own this vehicle? Rank this vehicle to share your opinion. 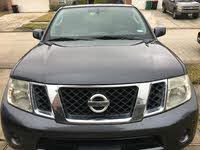 2010 Nissan Pathfinder How our users rated the 2010 Nissan Pathfinder. Based on 1,183 user rankings. Driven or own this vehicle? Rank this vehicle to share your opinion. 2010 Toyota 4Runner How our users rated the 2010 Toyota 4Runner. Based on 1,701 user rankings. Driven or own this vehicle? Rank this vehicle to share your opinion. 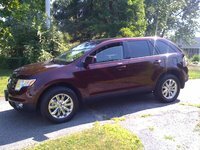 2010 Chevrolet Equinox How our users rated the 2010 Chevrolet Equinox. Based on 1,542 user rankings. Driven or own this vehicle? Rank this vehicle to share your opinion. 2010 Jeep Grand Cherokee How our users rated the 2010 Jeep Grand Cherokee. Based on 805 user rankings. Driven or own this vehicle? Rank this vehicle to share your opinion. 2010 Nissan Murano How our users rated the 2010 Nissan Murano. Based on 1,593 user rankings. Driven or own this vehicle? Rank this vehicle to share your opinion. 2010 Subaru Tribeca How our users rated the 2010 Subaru Tribeca. Based on 1,831 user rankings. Driven or own this vehicle? Rank this vehicle to share your opinion.